As promised, I'm starting this topic to discuss the details and features of the new A/F Legacy Berkshire announced in our 2018 catalog. The engine is being offered in Nickel Plate, Pere Marquette, C&O, Erie, American Railroads, and RF&P liveries. The goal of this thread is to show how this model differs from the FlyerChief version of the Berkshire. You can also see the design differences between the two pilots. Again, as per prototype. The scale dummy coupler is a separate piece that attaches with a single screw similar to the O Scale steam engines. 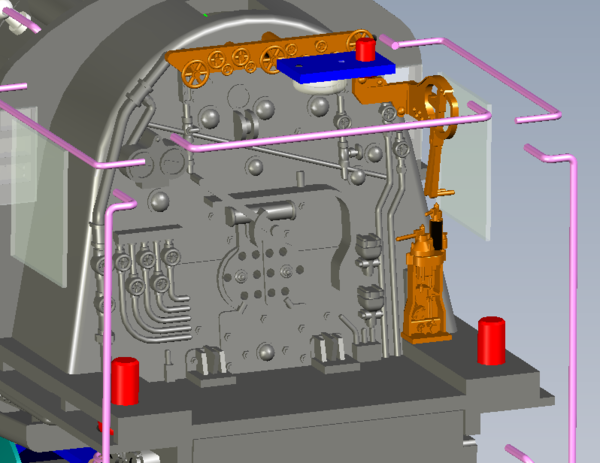 In the images above, the different colored parts indicate what is separate from the main boiler casting. Most of the pilot is separate, as well as the number boards and marker lights (all lit), detailing around the smoke stack, handrails, and other details on the sides of the boiler. Also, the smoke box door does swing open and latch closed with a magnet like in the high-end O scale engines. 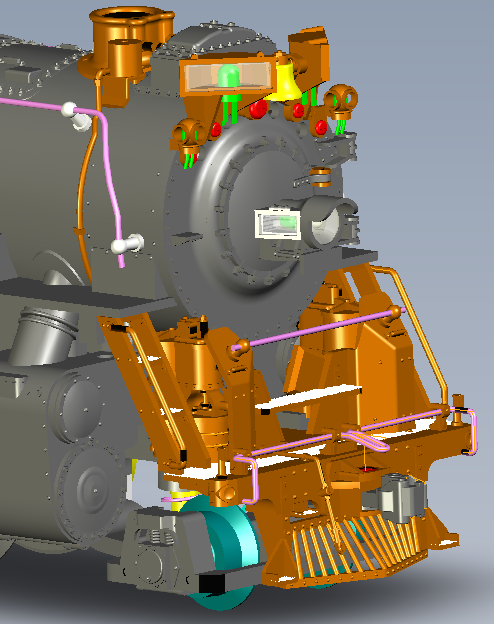 There are lots of separate parts applied to the top and sides of the boiler. Many of the pipes are separately applied. There are many separate grab irons in and around the cab. 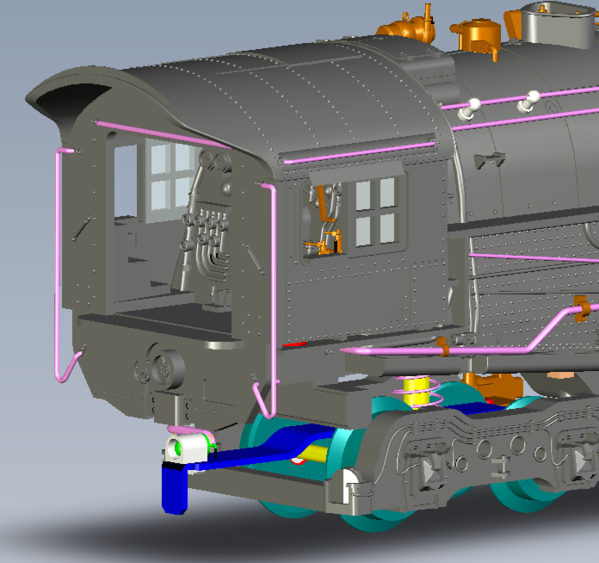 The cab itself does have seats for the figures and will have figures installed like previous A/F Legacy steam offerings. The back-head has some separate detailing as well. There is the firebox flicker in the cab as well as a cab light. An added bonus will be the ash-pan glow effect! The tender has many separately applied grab irons. There are also separate steps, ladder, and coupler cut bar. There's a working backup light. The hatches on the tender deck do not open; the volume pot will be accessible from the bottom. The bottom has the track IR and a few separate details. It will have mounting for a scale coupler. Lastly, it'll have a separate coal load like the O Scale steamers. This engine will not have Bluetooth. The A/F Legacy board (BEMC) cannot support it. Tender has the 40mm speaker used in Legacy engines. Please let me know if there are any other questions! Hope this helps. We've had fun with this engine and are excited about it. Sales performance on this engine will certainly dictate what fun things we can do in the Flyer world in the future! I was going to pass on this because I like my FlyerChief Berk a lot. Thinking about selling the old one and getting the Legacy Berk. 1. 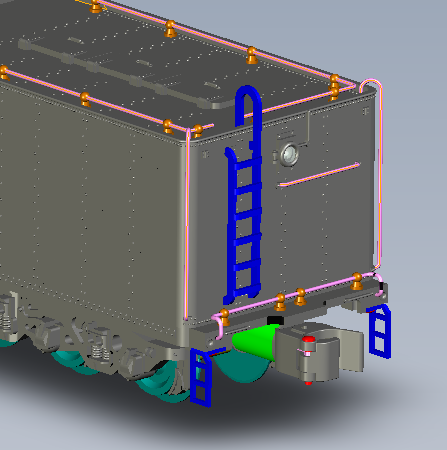 Will the smoke box area be painted the contrasting graphite color depending on the prototype modeled? 2. Would an extendable draw bar assembly like on the L-AF Y3 fit into the budget? 3. Looks like separately applied coal for the tender is planned and doable, yes? 4. Also, judging by the electrocouplers on the new GPs, there is apparently a need to further modify the couplers so as to permit them to dependably operate with a wider range of Gilbert and Gilbert-compatible knuckle couplers. Can this improvement be incorporated in the Berk and other future locos? Thank you for the information. I'm pleasantly surprised at how many upgrades you have done detail wise. 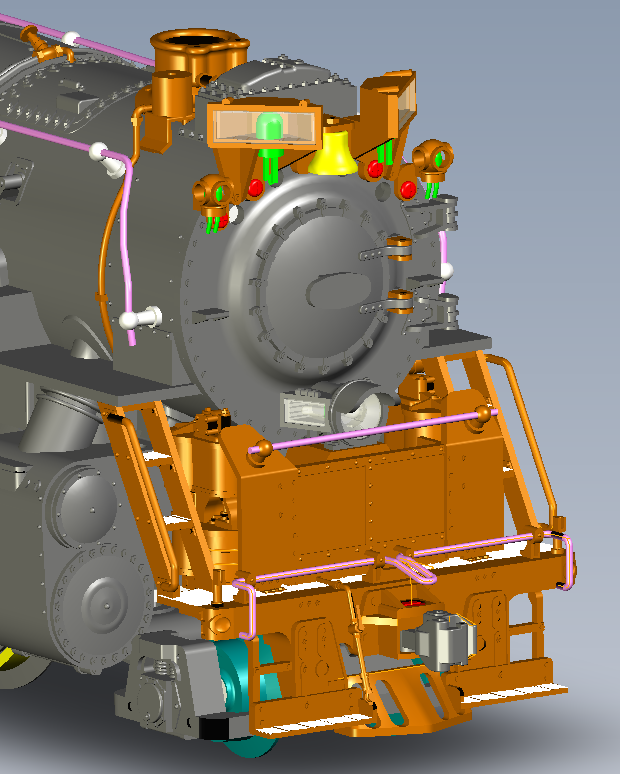 I'm very happy to see the front coupler setup which should permit the installation of a Kadee without too much modification as I have done on the TMCC Mikado and Pacific. 1. Will the tender have a Kadee mounting pad? 2. Will the sound system have 4 chuffs per revolution? 3. Will the smoke unit be synchronized to the chuffing? 4. I know the answer, but is there any possibility of scale wheels being offered? 5. Lastly, if this model is a success will we see more Legacy steam models in the future? Looked around and all the pictures I found show the available roadnames had centered headlights. Something for the future? Looks like a great product that satisfies just about everyone. I'm sure everyone thanks you for your listening and response. 3. Looks like separately applied coal for the tender is planned and doable, yes? Yes - you can see in the tender image above there is no cast-in load. 4. Also, judging by the electrocouplers on the new GPs, there is apparently a need to further modify the couplers so as to permit them to dependably operate with a wider range of Gilbert and Gilbert-compatible knuckle couplers. Can this improvement be incorporated in the Berk and other future locos? We modified it to work with current A/F couplers. If you can suggest to me the other couplers in mind, I can take a look, but there's no guarantee that it'll work. Not easy to be compatible with everything. 4. I know the answer, but is there any possibility of scale wheels being offered? No - historically the scale-wheel versions do not sell well enough to justify the effort. 5. Lastly, if this model is a success will we see more Legacy steam models in the future? That is the key. For us to consider significant investment in engines in the future, the sales of this engine need to be really good. This rings true for both steam and diesel. Tooling nowadays is a huge cost, and we need the Flyer community to show us that they're willing to buy enough to justify it. Looked around and all the pictures I found show the available roadnames had centered headlights. Something for the future? Thanks, Dave. This pretty much answers all of my unasked questions. You guys are going further on this than I expected with the added details. It easily fits my "cut or two" above the F/C Berkshire statement. Going "C&O" on the front end is a surprise. I've also noticed some improvements on the boiler casting vs. the F/C boiler. This looks like it's "up there" with the Y3 from a couple of years ago. Not a show-stopper, but no slat pilot for the NKP version? Only $500.00? Are you sure you are not missing a one in front of the five? I may have to buy two. NKP 765(767) at rest in 2009 awaiting her excursion runs on the Cuyahoga Valley Scenic Railway. Thank you, Dave, not only for answering all the questions but also for the work that went into this model. The only question I have left is whether the Legacy electronics will respond to straight conventional DC as do the Y-3/SD70ACe/ES44AC? I run all those locomotives on Legacy, but I also run American Models locomotives on straight DC. When that happens, I have to be sure that the Challenger, U33C, and Mikado are on dead tracks. There is no concern for the newer Legacy locomotives, and it would be wonderful if the Berkshires were also compatible with DC just in case I'm less careful. Ooh, C&O lower headlight. Must consider that one as well. Will the American Railroads version have a Mars light? I believe it had one during it's tour. Dang it! I just bought a FlyerChief Berk. Now what do I do????? Also, if Lionel is doing the lower headlight C&O "Berkshire," It should be numbered in the 2700 series. 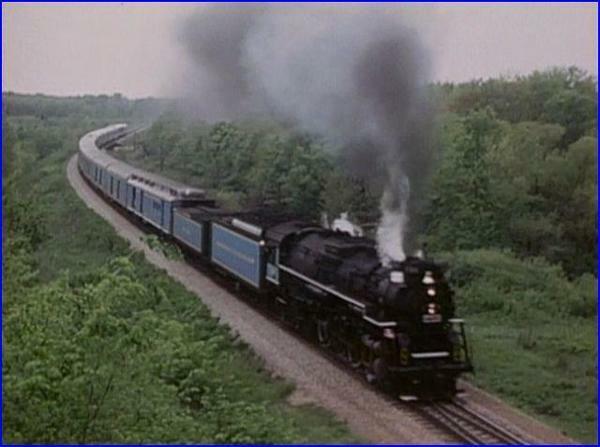 Also known as Kanawhas as the C&O didn't use the term Berkshire. 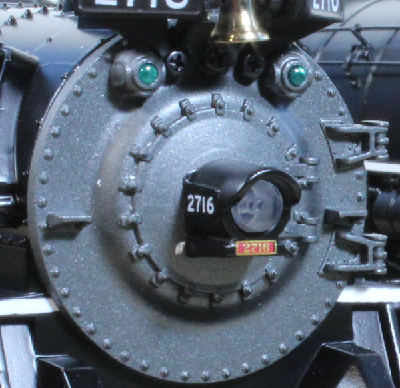 The 2600s were Pere Marquette locomotives absorbed into the C&O and eventually relettered kept their centered headlight. Hopefully, it's not to late to put the correct number on the C&O version. I don't recall 759 not having it's Mars light in excursion service. But, I expect a Mars light is not in the cards for this release. I just received my C & O Berk a few weeks ago, but am considering another. You gave the scale guys at least 95% of what they wanted and gave us Hi-rail people a real treat. Keep up the great work and we'll all build S Scale into what it should be - the Premier go to gauge. With all due respect Francine, I don't think you understand the needs and desires of the "Scale Guys". 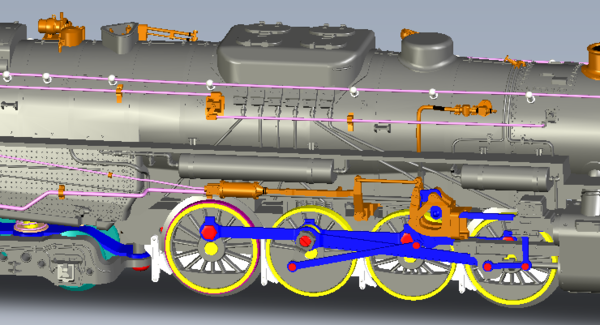 The fact that the engine will not have scale wheels means that it will be of 0% interest to most scale modelers. It looks like a great model for Hi-Rail and AF modelers for sure, but scale modelers need scale wheels... Simple as that. Even if it means an aftermarket upgrade as with the Y3s. Personally, I would prefer scale over Hi-Rail, but it has become painfully apparent that there will be precious little new scale product being made. Most of the scale modelers on the S scale Facebook group are saying that "S scale" is going back to its "scratch builder" roots. That doesn't particularly interest me. Most of the scale modelers on the S scale Facebook group are saying that "S scale" is going back to its "scratch builder" roots. That doesn't particularly interest me. Of that we can agree on. While this is really the subject for another thread, the push by some of the scale guys to return to the "scratch builders scale" mantra is model railroading suicide in this day and age. I would rather see 10 people get into S using Flyer or HiRail than wait for 1 scratchbuilder to enter the scale. I would hope that someone comes up with a scale wheel conversion for these Berkshires, but if not: Them's the breaks. If I ever tear down tear down and replace the Great Plywood Glacier, HiRail is a definite possibility. I've got plenty of wheels in stock to convert most of my scale stuff. It'd be nice to run my Flyer Mike's, Pacific's, Challenger and Y3 without slapping an oval of track on the floor. Well, River Raisin addresses the S scale part of the market. They offered a beautiful (albeit expensive) brass RTR model of the Lima Berkshire a few years ago. If I were a 'scaler' I would have jumped at the chance to purchase one. The new Lionel AF offering is a shot at 'it' for us hi-railers. Charles Ro has a price on all the 2018 catalog stuff. The price for this is 449.99. So $50 below cost. Further discount when you check out makes it $418. Now to wait until Nov.
To be fair Bob, Dan has done one new project in the last 5 years and he hasn't been able to get support for a few that he wanted to make. How much longer do you think he will be in the game? Does he have 2 more projects in him before he decides to retire? I don't know. Is there anyone else that is ready to fill his shoes if he does? I have no idea. This is getting off topic, but this is the mentality of S scale... if it has been done before it doesn't need to be done again. Every other scale continues to refine, improve, and re-release products on the other hand. I would love to see an aftermarket company offer scale wheel upgrades for these Legacy Berks, but S Scale Loco & Supply who did the Y3 upgrades is no longer in business. Will anyone fill that void? I kind of doubt it... But as Rusty said, Them's the breaks. Before we get too far off into the weeds, let's try and steer this back to the Legacy Berk. So, it looks like I'll be ordering one, I just haven't decided which one yet. BTW: I forwarded this thread to the NASG Webmaster so he can spread the word. Bob, Just so you know, River Raisin took orders for and sold some models with the option of ordering scale or hi-rail wheels, however, I don't think the Berk they did was one of them. Dave, thanks for your comprehensive review and for answering questions about the new Berk! Well, what does this indicate about Lionel's viable business options? The folks who prize 'S scale' should have purchased the River Raisin model. If they didn't support Dan at the time with a purchase, then complaining here, regrettably, isn't going to rectify the situation. Bob, Can we please stop talking about a model that was introduced seventeen years ago and what s scalers should have or have not done in 2001? This is about the Legacy Berk. Well, there's always the new B&A, B&M, AT&SF, SP and IC Berks from RR currently in production. Of course, you can buy 4.5 Flyer Legacy Berks for the same price... Still, even the Legacy Berks vs. River Raisin are apples and oranges by comparison. As primarily a scale guy, I don't have a problem with the new Legacy Berk or even the F/C Berk. However, after physically holding an F/C Berk in my hands, I can tell it's not for me. It's just as well my pre-order was shorted a couple of years ago. The Legacy Berk is different. Given what Dave has shown us, it looks to surpass the AM Northern detail wise (and I'm quite happy with my two) and even though it's not offered with scale wheels, I plan to get one. If someone decides to offer a scale conversion in the future, I'll have it converted. We can chew on the scale guys (myself included) if we want to, but that's really a subject for a different thread. After all this tread drift, I hope Dave Olsen can find the time to answer the couple of questions that popped up after his initial post. I'm really, REALLY impressed with what Lionel has done to their Berk. WAY TO GO LIONEL. It should sound and look great starting off slowly with a good sized train... and the synchronized chuffs will be frosting on the cake! Smallest rail profile the larger flanges will handle, Kadee couplers... and then simply build the rest of the layout like it was a scale layout: Bingo. S scale nirvana. Though it may fly in the face of the scale purists, exposure to convincing, well done, Hi-rail in layouts in S may save the scale. Again: Had this Hi-rail truth dawned on me before I was committed to my reverting back to HO, I would have SERIOUSLY considered Hi-rail. As it is, I've settled on a theme that S scale (even Hi-rail) just can't do without huge amounts of scratch-building or heavy scratch-bashing, so going back to S is simply out of the question now. I would guess that the past few years of flyer Chief and PE berk sales have payed off when it comes to off setting the cost of the Legacy Berk. I mean, really, a 500 dollar Legacy Locomotive?!?! I wonder what other locomotives could be done following this flyer Chief than Legacy model? Could a GP40-2 go the same route? I'm aware of the current RR offerings, but my reference was to the NKP Berk that was introduced in 2001 and is no longer in production. As you pointed out, RR is not currently producing the NKP version in the current run. I can't say it enough. Thank you for coming on here to answer questions and give us a preview! Your input has been extremely helpful and it really makes a difference. 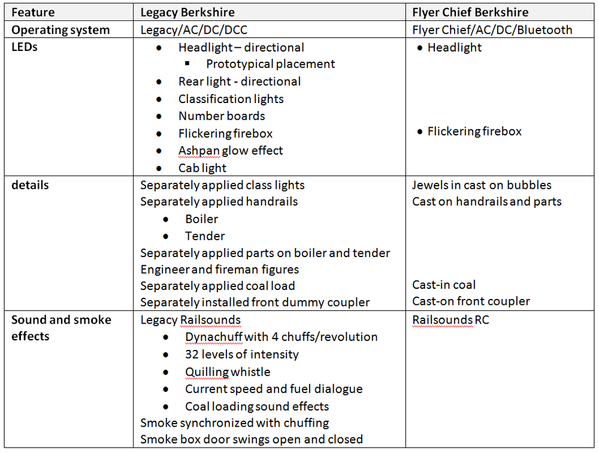 Will this Legacy Berkshire also be compatible with DC as were the Y-3, SD70ACe, and ES44AC locomotives? Will the Nickel Plate version have the slat pilot as seen in Rusty's post above? Will the American Railroads version have a Mars light in addition to the headlight? Can the C&O version be numbered in the 2700 series as were the "Kanawhas" with the lower headlight? 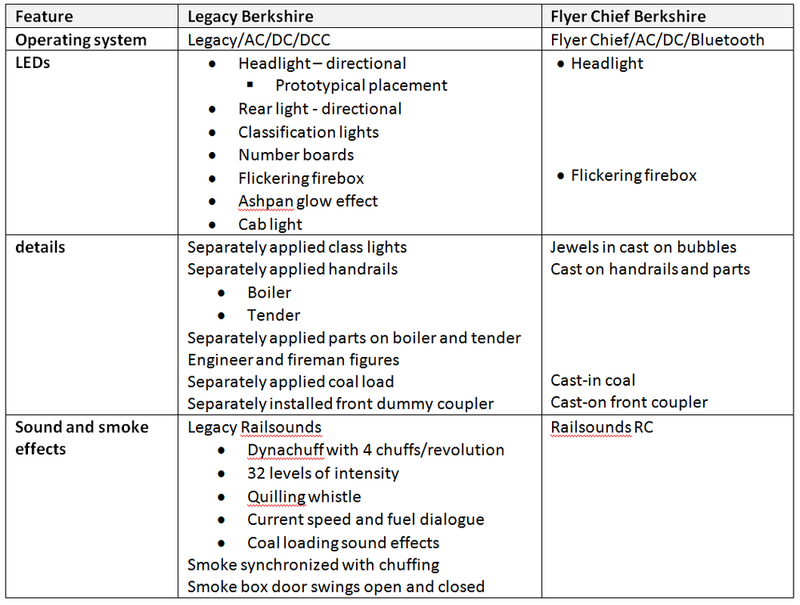 In order to keep things straight for myself, I made a chart of the differences between the new Legacy Berkshire and the Flyer Chief version. I was not planning on purchasing a Berkshire, but it is too attractive to pass up. The extra money for the Legacy version certainly appears to be worth the investment. Congratulations! The electronics are the same as those locos, so yes. Has DC, DCC, Legacy. We'll look at the designs for the slat pilot and Mars. Cannot promise Mars though. Cannot change the road number at this point. So far I've found pics of Virginian and P&LE with low headlamps. Should I keep looking? 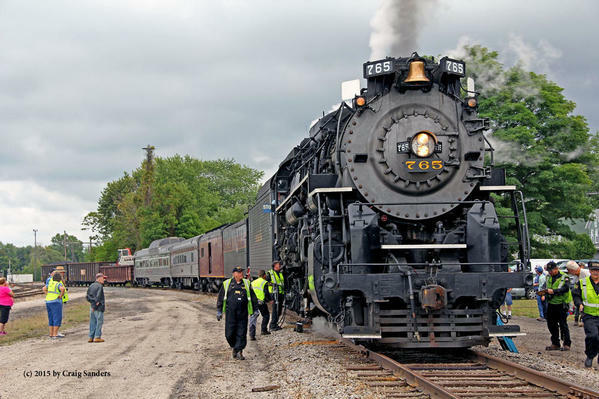 Your assurance that the RF&P Berk will be correctly numbered 572, not incorrectly as 752 as depicted in the catalog would be greatly appreciated. Per Banjoflyer's notes above. Thanks. Don't think the SP tender will qualify. Might not be in the plans for a 2nd tender. Like the C&O though. 3 and counting. The SP Berkshire is an early Lima Berk Like River Raisen is importing. Close, but not a Van Sweringen Berkshire that's the subject of the Lionel model. Odd that they can't correct the C&O's road number. But what do I know about the Secret Life of Lionel and their production decisions. You guys with your number "correctness". 99.9% of the world won't care. They do care that the locomotive runs well and performs as it should. That is what we need assurance of and that is where we need Lionel to spend their time. Even the 3-rail O world is starting to want more correct locomotives and cars. If it wasn't for us guys with "correctness," number or otherwise, you'd probably wind up with a painted 2x4 with command, smoke and sound. Or maybe 21085's painted in every color of the rainbow. I mean, really now... It costs the same $$$ to produce whether the number is correct or wrong. The Legacy and F/C Berkshires are really only accurate for NKP and PM. The others have some significant detail differences that set them apart from NKP/PM. At the current price point, these differences tend to be moot. If the Legacy's were going for a grand more, I would expect them to reflect those differences. I don't expect everything to be rivet-per-rivet accurate, (unless I'm paying a River Raisin price) but the days of a generic detailed locomotive with a catalog number on the cab and American Flyer Lines on the tender are gone. I have to agree with Casey. I'm puzzled as to why the C&O road number is written in stone, but adding/changing some other details are open for discussion. $500.00 is not a bad price, but still high enough not to throw the money away on a incorrectly numbered Legacy engine. Yes, they are not perfect scale, but I value all my Flyonel Legacy engines as if they were brass. They are darned neat, and I mourn the loss of the USRA 2-8-2 and 4-6-2 dies. They could have gotten a lot of mileage from them. 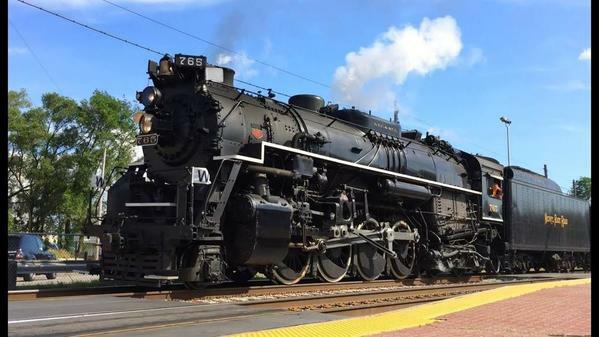 As they could on a Legacy USRA 0-8-0. (Hint, hint) Legacy first, please, cheapen it for the trainset crowd later. Maybe I'll hold out for a subsequent run of C&Os with a hopefully correct number. I think it matters to a lot more than 0.1% of us. Attention Dave Olson: Is FlyerChief Really For AC Power Only? ESU cabcontrol program non-ESU engines?